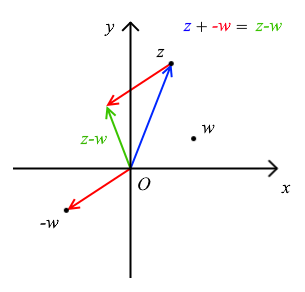 ii) Why can we just randomly say that the vector in the form z - (+z0) will always be the vector running from z0 to z? THANK U VERY MUCH TO ANYONE THAT HELPS I REALLLLY FREAKING APPRECIATE IT!!! It means that the vector is perpendicular to . That is basically the condition given to you. and are the diagonals of the parallelogram with vertices . But, a parallelogram with perpendicular diagonals is a rhombus. But, implies that is always in the clockwise direction of . Last edited by fan96; 22 Nov 2018 at 3:21 PM. isn't actually true because isn't guaranteed to be in the range . If was instead expressed as the principal value for that angle then I believe it would be true. So just be careful when using it - if possible find another method. c) Divide top and bottom by z1 and let w=z2/z1. Then (1+w)/(1-w)=2i. Just solve for w.
Still you must answer the question on the page! Last edited by peter ringout; 22 Nov 2018 at 3:37 PM. but it is unfortunate that double angle formulae became necessary. A poorly written question is always unfortunate. When it comes to writing complex analysis problems I always feel that geometry should be forced to provide elegant proofs for deep results, not difficult proofs for trivial results. Presumably part c) is the point of the question and unfortunately the examiner chose a very tortuous path for the candidates. Once you have c), a) and b) are trivial if you really want them. Last edited by peter ringout; 22 Nov 2018 at 4:09 PM. Forum) do you then translate that green vector to start at w and run to z? So that means it will have the same magnitude and direction but just won’t represent the exact point z-w. It is a free vector? 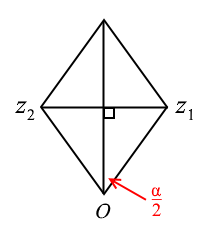 The green vector and the vector from to are the same vector. The position doesn't matter. Right I see. I semi get it now, this might sound retarded, but how can we just magically translate the vectors to wherever we want and say that they represent the same thing? So if two vectors have the same magnitude and direction then they are equal.